Conceptual Physics, Tenth Edition helps readers connect physics to their everyday experiences and the world around them with additional help on solving more mathematical problems. Hewitt's text is famous for engaging readers with analogies and imagery from real-world situations that build a strong conceptual understanding of physical principles ranging from classical mechanics to modern physics. With this strong foundation, readers are better equipped to understand the equations and formulas of physics, and motivated to explore the thought-provoking exercises and fun projects in each chapter. Included in the package is the workbook. Mechanics, Properties of Matter, Heat, Sound, Electricity and Magnetism, Light, Atomic and Nuclear Physics, Relativity. 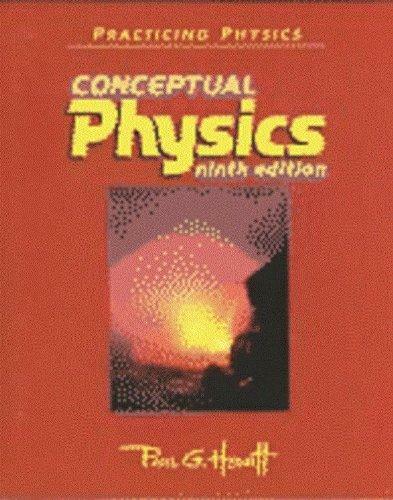 For all readers interested in conceptual physics.Paul G. Hewitt is the author of 'Practicing Physics Conceptual Physics Ninth Edition' with ISBN 9780321051530 and ISBN 032105153X.